Camino de Santiago 2013: Happy New Year! I hope everyone had a fantastic holiday. Our family enjoyed a relaxing two weeks off. We skied, we hiked, we lounged about. Snow finally arrived in New Hampshire; we received about eight inches of powder over the past few days. The temperatures dropped and now it feels like a proper New England winter. 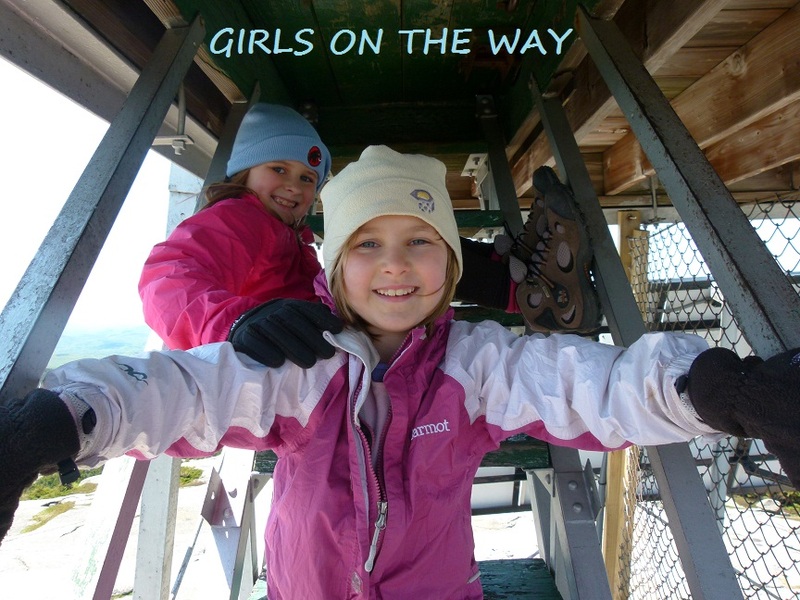 The girls and I have been taking advantage of this cold spell to prepare for the Camino. There's a lovely 6-10 mile loop (mileage depends on variations) around our home that takes us over hills and roads and plunges us into deep forests. We've used that to train lately, as windspeeds have been too high to venture above treeline. "Cold Camino day" training. Halfway through a 7 mile hike, windchill five below zero (F). We hope to climb a mountain this weekend if the wind is relatively calm. 'Tis the season for frostbite and hypothermia, so I'm conservative when it comes to taking the girls up peaks. Alex insists on bringing the same Wigwam hiking socks she's been wearing since she was five years old. They're full of holes and thin as paper -- however, she's worn them on every single hike she's ever been on. That's four and a half years of almost weekly hiking, well over 200 mountains big and small. I'm surprised they haven't completely fallen apart. The socks are now too small for her, I don't see how they keep her feet warm, and you can practically see through them...but she's never gotten a blister and she likes them. Whatever works, I guess. That being said, I'm bringing an extra pair of thin, new socks for her...just in case. I mean, seriously -- if hiking day after day after day over almost 500 miles doesn't finally do these socks in, then I don't know what will. Sage...ditto...except Sage wears SmartWool and develops blisters from time to time. I'll bring new socks for her too, and I'll give her the Vaseline treatment every morning or evening. I've read that coating the feet in Vaseline (or a similar product) before putting on the socks is helpful for the prevention of blisters. We'll experiment with this process before we leave. I've received a few emails asking about safety precautions. My answer to those questions is yes, we're taking multiple (legal) safety precautions. I won't elaborate on the specifics. Patricia, you may want to try ClimbOn bar or Bonnies Balm for Sages feet. they are both used by climbers to help keep skin in good shape but can also be used on your feet to moisturize and keep the skin from absorbing too much water from sweaty/wet shoes. Thanks for posting the link to Skurka's article. That post is extremely informative; we are much obliged!